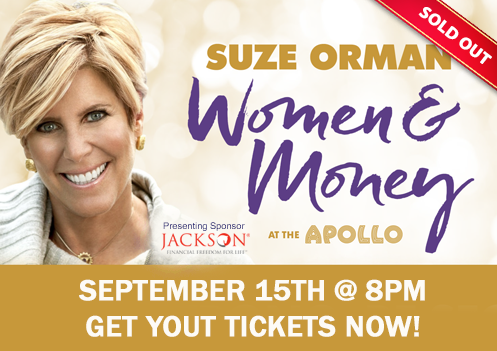 **SOLD OUT** See Suze LIVE at the APOLLO! 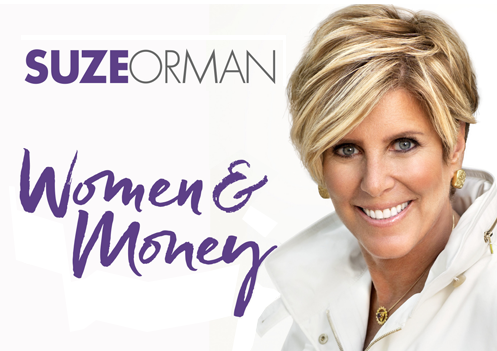 On this unprecedented one-night event, Suze Orman will offer women who are giving so much of themselves, the opportunity to—once and for all—give themselves what they have always deserved. 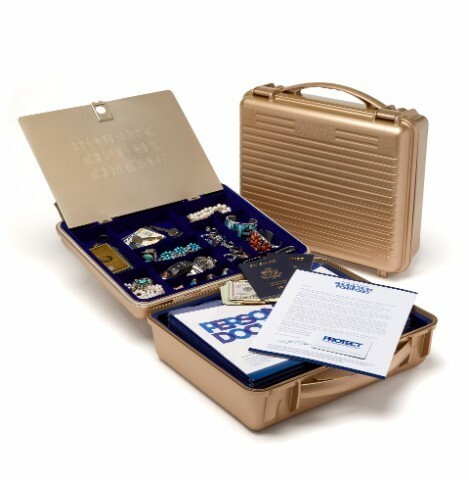 The time has never been more right for women to finally take control of their finances. The lessons, revelations, and shocks of the past few years have made it clear that taking action is the only way to take care of ourselves and our families. 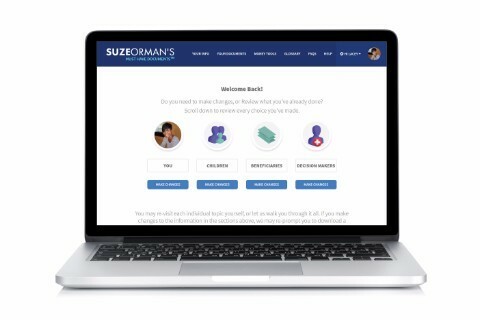 Once women follow through on Suze’s advice, they will be unburdened from the debilitating weight of worry, fear and shame. 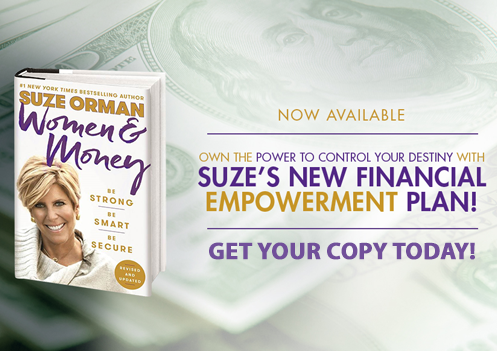 This evening is for today’s wife, daughter, mother, grandmother and sister and will give women the opportunity to tap into Suze’s unique spirit, people-first wisdom, and unparalleled appreciation that for women, money itself is not the end goal. It’s the means to live a full, and meaningful, life, that supports their loved ones and their beloved communities. This evening will be filmed for the OWN Network.